But take a look at Benavides’ mayoral campaign website and you will find no mention whatsoever of his family. And his campaign Facebook page also makes no mention that he is married and that he has kids. His Council Facebook page likewise omits any mention of his family, as does his personal page. Click on his “profile pictures” and you get several face shots of Benavides – and no family pictures. Even his official City Council bio omits any mention of his wife and children. This is a fairly shocking turn of events. The two things I always admired about Benavides was that he once worked in youth ministry and that he was a family man. Now I have to wonder what is going on. A city insider told me that Benavides conducted a poll before announcing his campaign for Mayor. One of the questions posed to voters was would they support a mayoral candidate who had cheated on his wife. Why would he include that question in his poll? 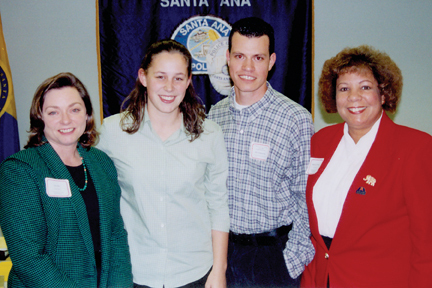 Remember that Benavides and his wife bought their home in Santa Ana by participating in a home loan program for teachers, called the “Extra Credit Teacher Home Purchase Program,” which offered a reduced mortgage rate and $7,500 in down payment assistance to teachers who worked at low-performing schools, according to this press release. The Benavides couple were in fact one of the first families to participate in this program. Does Benavides have to give this money back if he and his wife are living separately now, as rumors allege? 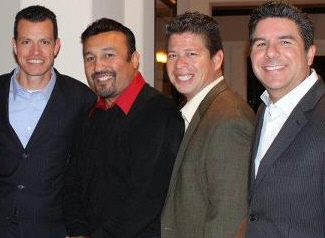 Perhaps most unsettling is Benavides’ longtime friendship with his fellow Council Member Carlos Bustamante – who was arrested this year for numerous felony charges of sexual harassment and public theft. Benavides is one of the only Council Members who has NOT called on Bustamante to resign. Benavides reached out to me before he announced his campaign but I have since made it clear that I am supporting Pulido. He does need to step up now and clarify what is going on. Santa Ana is dominated by working families. The voters deserve to know the truth. This all brings to mind a slew of emails I received a few years ago from a fellow who claimed he had phone records proving that Benavides had an affair with his wife. Apparently they worked together. Benavides and I met afterwards and he swore there was no affair and that it was a misunderstanding. But now his wife and family are missing from all of his websites – and you have to wonder what in the world is going on. By contrast, Mayor Miguel Pulido’s official Council bio page proudly mentions his family. So does his Facebook page. Say what you will about Pulido but even his staunchest critics attest to the fact that he is a great father. But that is not all. While looking at Benavides’ personal Facebook page tonight I noticed he no longer is working at US Bank. 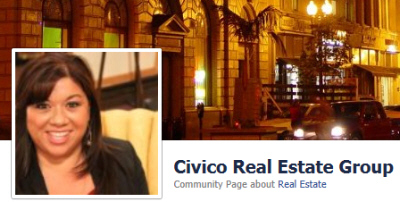 Apparently he is now a partner at a company called Civico Real Estate Group. Now this is a problem as this company is based in Santa Ana and is involved in the sale of real estate. Benavides now has a huge conflict of interest both as a Council Member and as a candidate for Mayor. Why would Benavides quit his job at US Bank? Is he going through a mid-life crisis? Why run for Mayor under these circumstances? It just makes no sense. Yet this guy is the face of the supposed Santa Ana spring? “……and you know that notion just crossed my mind”. I am not sure what “Intertaining” means Doctor, but, I assure you voters will take this guy seriously when word ges out about Benavides. Word is getting out about ” throw enough lies and some will stick” the voters will understand the strategy from a camp that has no problem making up lies finding ways to hurt people away from seeking public office …………anything to win, does the voter want this vs. for the sake of argument , a divorcing candidate. if the politician will condone this strategy to win imagine this strategy carried into office to stay in power……….what am I saying it is exactly the case now. How can a camp and it’s supporters be taken seriously if they engage in lies, insinuations and threats of loosing jobs by pressure to employers to win an election. If the argument is a question of character and not want can a candidate do by leadership and ability to work with a team to do the business of the voters , then question the character of the candidate that will make up lies, insinuations and pressure employers to force challengers out of the race. The voters can then choose which is more trustworthy and able to work with a majority to get the work done. “Pablo” David Benavides is A FRAUD. Check out the BS spewing from his XEALOTS organization. Have you ever heard such crazy sh*t? The closer you look at this guy the quicker you determine how unqualified, crazy, irresponsible and frankly unlikable he is. Light him up in the mail and he’s dust. “You’ve already admitted that Benivedes destroyed his marriage and family because of his DISHONESTY, INFIDELITY AND SUBSEQUENT LIES. But, that has nothing to do with who he is…….Because he helps the very kids he abandoned. Please show where I have said this. You and others have posted this as rumors,insinuations and notions. Important issue is if Benavidez is able to work with the majority council to take the city to it’s potential , economically , culturally and educationally. Thats because Emily, David’s “Wife” lives in Orange. I am told by attorney’s to be careful because Benavide’s has used his position as a councilmember to protect his wifes address from disclosure using his position as a councilman. But if one were to research the names, it would be clear. WHERE DOES YOUR “WIFE” and YOUR KIDS LIVE? David f**ked a secratary, lied, disgraced his wife, his kids he is a pig… PERIOD. I was making my deliveries this morning and I swear, I saw somebody who looks EXACTLY like Emily Benavides on Quincy Street in Orange, loading children in to a car. “Hmmm thats strange I thought, that looks like David Benavide’s wife, that can’t be, he’s running for the mayor of SANTA ANA, this is Orange”. OK I get that there are lots of divorced people but why would a guy whose family is falling apart decide that what his kids need right about now is their dad running for Mayor of the 2nd largest city in Orange County? Which Family and Marriage Counselor would say that’s just what his ninos need? Hey Daviiiiid, why don’t you get your house in order and then check back in with the voters of Santana and see if they are buying your brand of Pro-Family politics. Pulido may not have pleased every last Santa Ana political gadfly but I’ll take the married Mayor who puts his FAMILY first with a proven track record over the “Player/Mac Daddy” who puts the ladies first. Speechless! Definitely one of Reyna’s homies! Recycled blog piece? No bueno. There are thousands of voters in Santa Ana who haven’t read this yet. But it is our top post today so the good news is that the post is still of major interest. No worries though, I have a new post going up later today about that horrific episode when your boy Benavides honored the Minutemen. You’ll love the videos on that one! Excuse my absence while verify the identity of a recent EMAIL someone copied me on last Friday regarding this. The guy (Benavides) is a scumbbag. Pure and simple. Art, If Benavides wife and kids don’t support him then why should the voters of Santa Ana? I think it’s a pretty simple question. Art, I noticed the photo of former Councilwoman Alberta Christy with Mr. Benavides. Since Alberta is a single mom and her daughter is also a single mom, you would think she would condemn rather than support a scoundrel and womanizer like David. I can’t believe her friends at Calvary Chapel will be pleased when they find out she is supporting him! Has Alberta forgotten the commandment about adultery? I have been asked to leave David’s wife and Children alone. In their best interest. I have EMAILS w/ verified addresses and I confirmed by phone, that the sender was who they claimed. It is legitimate. I am stung HARD by this. I don’t want to F up innocent people, but, the EMAILS PROVE beyond a shadow of a doubt that David destroyed his marriage with his selfishness. The unfortunate part is that he is the winner here. His inability to tell the truth, to manipulate people like Lomeli stands to hurt thousands. It is my belief, that there are people that hope he WINS, just to watch his quick fall from grace after the election when the truth is learned. I am told, that several “local” reporters have this info and feel it will make for a juicier story after we get hosed. Hey a good story beats a good mayor anyday….right????? Vince S. is laughing all the way to the bank. He will watch David flop and then jump in two years from now. What will happen is that George Collins will WIN.. Mayor Pulido and Benavides will dilute the democrat Vote. Collins will breeze right in. Mayor Pulido has done some good things for the city of Santa Ana. But after 25 years its time to let new people and fresh ideas in. But Benavides is not the answer either!!! Out of all the candidates, other than mayor Pulido, the most informed and educated candidate is George Collins. I will vote for George Collins he is the Best Alternative for Santa Ana’s future. Also, vote for CECILIA “CECI” IGLESIAS for School Board and Karina Onofre for City Council. How can he be considered a serious candidate Art? It looks like he doesn’t have any gas in the tank. So…did he have an affair or not. He’s still tryin to do things in our community. Who did he supposedly have an affair with? People keep claiming it with no proof. He’s divorced now so he’s free to play the field. We find it silly that he likes to post pictures of his dalliances on social media. It is unbecoming for a public official.